Irish public broadcaster RTÉ has confirmed a revised schedule for the wind-down of its longwave service, which will see the service on 252 kHz retained, at least in part, for two years. The simulcast of RTÉ Radio 1 on longwave will now continue into 2015 with a full schedule. In 2016, the service will reduce its hours before 'working toward' a complete closedown in 2017. 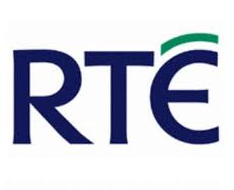 RTÉ had originally planned to shut down the longwave service in October, before postponing the switch-off until 19th January 2015. The removal of the longwave service, which took over the frequency originally used by Atlantic 252, faced fierce objections from elderly Irish expats in the UK. Head of RTE Radio 1 Tom McGuire said: We've listened particularly to the concerns raised by and on behalf of the elderly Irish in the UK. "Cost-reduction remains a key priority for RTÉ and we remain convinced that, in the longer term, Longwave has had its day. "Nonetheless and despite the mid-term cost impact, RTÉ believes it is necessary to take a collaborative approach and slow this transition." RTÉ News reports that Ireland's Department of Foreign Affairs and Trade is "to work with RTÉ to commission specific research to better understand the community in the UK who listen to the longwave service. "The research will be conducted next year, will be funded by the department and will include perspectives from community groups representing the Irish elderly in the UK." The future of longwave broadcasting beyond the end of the decade across Europe and North Africa is in doubt, with more and more broadcasters over time announcing the end of analogue longwave transmissions, as listeners switch to mobile, online and digital radio platforms which offer stereo broadcasts free from the increasing amount of electrical interference in households, as well as co-channel interference from other longwave broadcasters. Away from those parts of Northern Ireland and West Wales that can receive an overlap FM signal from RTÉ, RTÉ's main stations are available on Freesat, Sky and Virgin Media as well as via online and mobile devices, including internet radios, smartphones and tablets. RTÉ Radio and a number of local commercial Irish stations can also be received via the 'TuneIn' app on Roku and the Now TV Box.